The view is of the cathedral and its attached castle on the Rock of Cashel. From the earliest of times, and before these buildings were erected, what is now the cathedral close was always a fortress. It was then the seat of Brian Boru, crowned High King of Ireland in 977, but in 1101 it was handed over to the church by Muircheartach O'Brien. 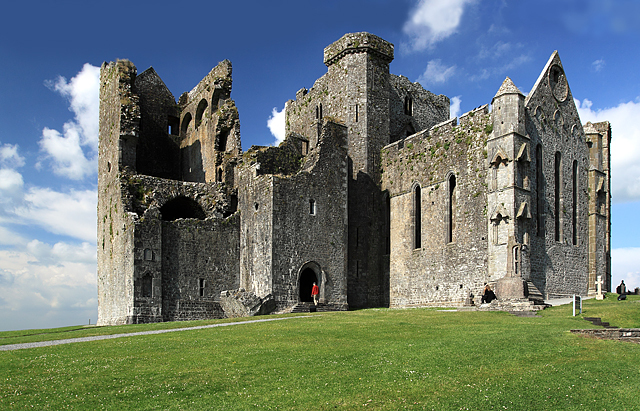 Violence erupted on the Rock in 1647 when the Rock of Cashel was stormed by Lord Inchiquin's forces. During the conflict twenty clerics who had taken refuge there were killed within the castle, as were all the Irish Confederate troops. This page has been viewed about 2041 times.